Today, in the last of my Author Spotlights before my summer break for August, I welcome Anne Goodwin to ‘My Writing Life.’ Anne and I met on Twitter and have come to know each other fairly well over the last couple of years so I am especially glad to be able to focus the spotlight today on her debut novel, ‘Sugar and Snails’ published just last week by Inspired Quill. At fifteen, Diana Dodsworth took the opportunity to radically alter the trajectory of her life, and escape the constraints of her small-town existence. Thirty years on, she can’t help scratching at her teenage decision like a scabbed wound. To safeguard her secret, she’s kept other people at a distance… until Simon Jenkins sweeps in on a cloud of promise and possibility. But his work is taking him to Cairo, and he expects Di to fly out for a visit. She daren’t return to the city that changed her life; nor can she tell Simon the reason why. Sweaty palms and a sinking feeling in my stomach: symptoms of the fight-flight response reporting for duty. I counted five paces to the outside door. I could grab my bike and be home in under an hour. Please read on to find out more about why Anne set part of her novel in Cairo. At a key point in my novel, Sugar and Snails, I needed to send my main character abroad for something that was unavailable in Britain. My research suggested Casablanca was the place, but I’d never been to Casablanca. I had been to Cairo, however, and while I didn’t think North African capitals beginning with C were interchangeable, I crossed my fingers and sent the Dodsworth family there. Like my character, I’d been intrigued by the ancient Egyptian cult of the immortal since childhood. After seeing the Tutankhamen exhibition in Edinburgh, I was resolved to go to the Valley of the Kings and see the tombs where the treasures had been found. I saved up my annual leave, packed my rucksack and set off alone to travel around Egypt for a month. Although I took plenty of photographs, and even kept a diary of my impressions, I never envisaged this as a research trip. My visit was twenty years prior to beginning my novel. Would my memories be enough? There were further complications. I’d seen Cairo in the late 1980s, but my characters had to be there in the early 1970s. How different would the city be fifteen years apart? Furthermore, in 1973, as an early peer reviewer, Safia Moore, was to remind me, Egypt was at war with Israel. Although short lived, with military action limited to the Sinai, even moving the action forward a year (as I did) might reduce the novel’s credibility. I put these anxieties aside as I absorbed myself in the writing. The story unfolded through three points of view: mother, father and troublesome child. Most of the Cairo scenes were written from the father’s perspective: a mixture of my own experience, internet searches and flights of imagination that suited his character. I saddled him with the bureaucratic frustrations of transferring money from home to an Egyptian bank. I had him jolted from sleep by the call of the muezzin and pestered by street urchins for baksheesh. I made him sweat in his bri-nylon shirts. For light relief, I led him into a cool café to drink mint tea from a glass without a handle and breathe smoke through a traditional water-pipe. I took the family for a celebratory dinner at Felfela’s, a famous Cairo restaurant popular with tourists and locals alike. Leonard’s Cairo became extremely vivid to me, and tremendous fun to write. And then I edited out most of his scenes. In my final rewrite, I scrapped the parents’ strand of the novel and told the story solely from Diana’s point of view, moving back and forth between the present and her childhood memories. Although they still went to Cairo as a family, the bank, the restaurant and the smoky café all had to go. I was left with an office scene that could have been anywhere; another in the bazaar, shopping for souvenirs and a floor-length galabeyah, the traditional Arabic dress; and a pre-dawn excursion to Giza to watch the sun rise over the pyramids, which, although much discussed, was sacrificed on the final edit. Yet I don’t see those cut scenes as wasted. Writing them helped me connect with the Cairo of the novel. Of course, it’s up to the reader to decide whether there’s enough left to convince them the trip to Cairo was real. As to the question of whether my too-long-ago yet too late visit was sufficient research, there’s a view that there’s no need to go to a place at all to create a convincing setting. As David Nicholls said in an article in the Guardian, “research is as much about reassuring the author as persuading the reader”. As for the Yom Kippur war, I had it come up in a conversation that moved the plot along and hopefully doesn’t read as clunky. 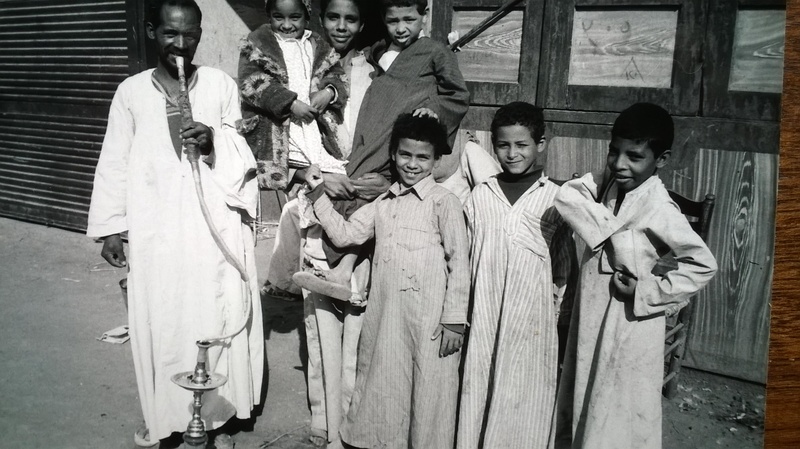 In dedicating my novel to the coast-to-coasters and old school friends (the subject of my post on Norah Colvin’s blog later this week), I wasn’t conscious of any connection with people I’d met in Cairo. But on my visit there I enjoyed the generous hospitality of a former schoolmate who had married a Cairene as well as forging a new friendship with a woman from London I met waiting for the bus to the Sinai. It’s in celebration of similar friendships that I’m having two launch parties for Sugar and Snails. Unfortunately, the budget doesn’t run to holding a third in Cairo. Have you ever visited Cairo? Have you ever made use of a setting you don’t completely remember? 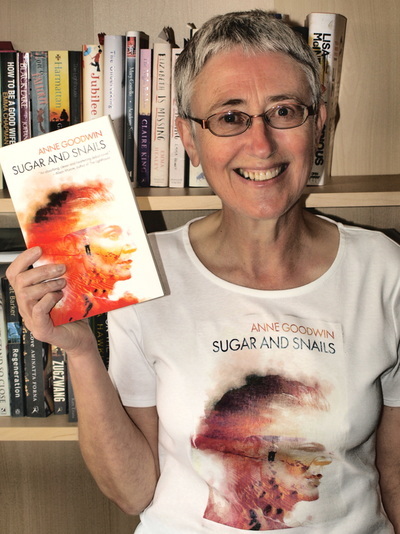 Anne Goodwin grew up in Cumbria and studied Mathematics and Psychology at Newcastle University around the same time as the narrator of Sugar and Snails. She loves fiction for the freedom to contradict herself and has been scribbling stories ever since she could hold a pencil. During her 25-year career as an NHS clinical psychologist her focus was on helping other people tell their neglected stories to themselves. Now that her short fiction publication count has overtaken her age, her ambition is to write and publish enough novels to match her shoe size. Catch up with Anne on her website: annethology or on Twitter @Annecdotist. 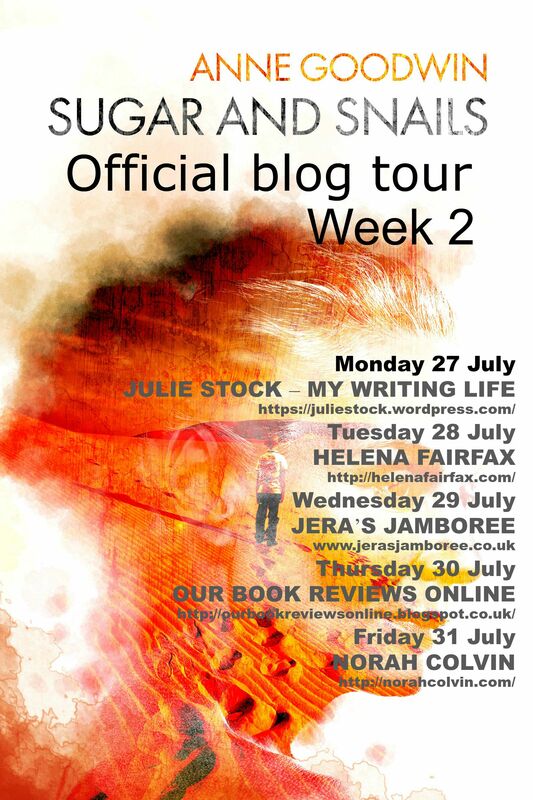 You might also like to follow Anne on the rest of her blog tour.